Wisconsin might not be the first place that comes to mind when you think of “destination wedding.” You’re probably imagining a magical trip out to Hawaii, the excitement of a Vegas celebration, or maybe something more extravagant like a romantic wedding in Cancun. Wisconsin most likely doesn’t even make your top ten—and that’s where you just might be wrong. While not as enticing as the white shores of Cancun, a lakeside retreat in Wisconsin is a guaranteed close second. The lush greens of Wisconsin golf courses and the secluded forest getaways make you feel like you’re in a complete different world as you exchange your vows. Celebrate with your friends and family with relaxing kayaking trips, golf excursions, or soothing spa treatments. Discover the wonders of Wisconsin as you plan a wedding that no one will ever forget! Chula Vista is Wisconsin Dells’ premier destination property for weddings and events, and they'd love to show you why! Chula Vista's unique location along the Wisconsin River creates an unbelievable environment for you to get hitched in. While you say "I do" you'll be flanked by 100-foot Norway pine trees and your closest family and friends. If you prefer the indoors, there's plenty of venues, both spacious and intimate. When it's not wedding time you and your party will be living in luxury in Chula Vista's large array of rooms, suites, condos. As they say, "The hardest part about having your wedding at Chula Vista, will be going home". 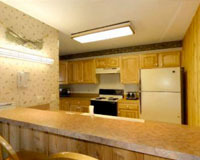 The resort overlooks the Wisconsin River and is a 7-minute drive from downtown Wisconsin Dells. Additional perks consist of a fitness center, arcade, and event space. Lake Michigan weddings are something truly magical. On the western shore of this beautiful retreat awaits one of the most picturesque destinations that will serve as an unforgettable backdrop for your big day. Blue Harbor Resort & Spa is one of those places you dream about in fairytales: a relaxed beach setting, a charming small-town atmosphere, and endless natural beauty that will awe and inspire. All of this comes to life during your wedding celebrations, which can be hosted in a variety of ways. Keep it elegantly casual with a beach ceremony; sink your toes in the sand, enjoy the sounds of the waves in the background, and get in some fantastic wedding photos with the boats in the distance. For something a little fancier, the resort’s spacious ballroom comes ready with a large dance floor and dim lighting. Of course a destination wedding experience isn’t complete without a little extra fun. Blue Harbor’s wonderful lakeside location makes it even easier for you and your guests to celebrate and enjoy yourselves. The lake is a natural playground just waiting for you to explore; kayak across the waters, or try out stand-up paddle-boarding. The resort also partners with local fishing services so you could join a charter and test your luck at reeling in a trophy catch! However you spend the time before or after your festivities is totally up to you! Just let Blue Harbor assist you in all the details so everything can go off without a hitch. The ballrooms and banquet rooms at Blue Harbor can accommodate from 50 to 600 guests so you don't have to stress too much in keeping your guest-list manageable. The kids and kid-at-heart will love the onsite waterpark at Blue Harbor! Enjoy plenty of fun times with your friends and family! When it comes to breathtaking Wisconsin destinations, you can’t leave out the charm and beauty that is Door County. Here, overlooking the shimmering waters of the Bay of Green Bay awaits a luxury retreat on 40 wooded acres that’s truly a picturesque setting for your wedding. The Landmark Resort has welcomed couples to exchange their vows for 30 years, providing them with a place that’s not only beautiful, but peaceful and romantic. You can enjoy the stunning lake views in the background during the ceremony, then host your reception in truly distinctive indoor venue. Their catering staff will assist you in all the details to create a menu that your guests will rave about for days after. And when it comes to your guests, they are all sure to love the wonderful Door County location that Landmark brings. Golf courses and lighthouses galore are just minutes away; play a round together when you arrive for the weekend, or head out for a little adventure after all the excitement and discover the rich history of this waterfront location. Door County is also home to some incredible wineries that you can’t miss! There are five beautiful state parks in the Door County area, each with its own natural wonders for you to explore! The Landmark Resort features three outdoor heated pools, an indoor pool that's open 24/7, four whirlpools, four steam rooms, three tennis courts, a basketball court, and much more. You don't have to even leave the resort to enjoy some fun with your guests! Set on thirteen breathtaking Wisconsin acres, The Beacons is a charming retreat perfect for your special day. Surrounded by lush pine trees and steps from the shores of sparkling Lake Minocqua you will find The Beacons of Minocqua, where rustic elegance truly comes to life. Pose with your bridal party and family at the historic Beacons boathouse and host your magical wedding celebration out on the soft shores of the lake. The spacious lawn is the perfect place to set up a tent for your relaxing outdoor reception. With enough space to accommodate up to 200 guests, it’s an ideal place to say “I do!” After all the excitement, you can continue to celebrate with loved ones as you explore the nearby Bearskin Trail, an 18-mile red granite adventure that’s ideal for hiking and biking. If that’s not enough, beautiful Lake Minocqua welcomes you to explore its waters on a boat or canoe rental. This is a destination unlike any other! The onsite boathouse, boat docks, and rentals for kayaks, canoes and pontoons makes it easy to experience a quintessential Wisconsin lake vacation while you plan your wedding retreat! Onsite you will find a pool, hot tub, sauna, and fitness center! There's also a game room with a flat-screen television, movie rentals, and board games so your guests are sure to be entertained in between all the festivities. If you or your spouse-to-be are a fan of golf, there’s simply no place better to say “I do” than Coachman’s Golf Resort! Resting in the charming countryside of Southern Wisconsin, Coachman’s Golf Resort is a popular destination for golf-enthusiasts of all ages and a premier location to celebrate the biggest day of your life. Here, you can exchange your vows on the immaculately-kept greens and host your reception at one of their elegant indoor spaces. The sophisticated Carriage Room can host up to 75 people and features a charming brick fireplace. The Coach Room can accommodate up to 80 guests, features a large dance floor, and can be combined with the Carriage Room for larger events of up to 175! After all the excitement, you and your guests can enjoy some of the best golf in the area without having to leave the property. The three 9-hole courses are a wondrous adventure through beautiful hills dotted with oaks and willows. Designed by Homer Fieldhouse in 1968, 1970, and 1991 respectively, the Red, White, and Blue courses each offer a unique golf experience. The luxury lodge and resort at Coachman's provides your guests with comfortable accommodations during your wedding retreat. Let their staff help you plan all the details! The onsite pro shop features top-notch apparel, shoes, bags and equipment. Everything that you need for a golf experience is right here! With its gorgeous lakeside location plus an army of knowledgeable wedding experts on-staff, entrusting your special day to The Cove is an easy decision! The venues at The Cove are many and varied. Are you interested in a small, intimate affair? You'll love an outdoor ceremony with the lake in the background. For something a little more sizable, The Cove has a venue that can handle up to 300 guests. The distinct catering, décor, and entertainment the Cove provides will make it an affair to remember, while the surrounding attractions are boundless. In fact, The Cove is so spectacular that we advise couples to arrive a couple day early- think of it as a "pre-honeymoon"! After all, you've earned it! The Cove of Lake Geneva can also function as a conference center. Leave the hassle of drawing creative seating arrangements aside and let The Cove assist in tailoring your event or gathering with more than 6,000 square feet of meeting space that can accommodate up to 300 guests. Treat your tastebuds to something delicious throughout your stay at the Cove of Lake Geneva. Their Cove Café & Lounge offers invigorating Colectivo Coffee and light breakfast items, perfect for starting your day. The Sprecher’s Restaurant & Pub is the ideal place to unwind after fun with an incredible lunch or dinner! Wrapping up this list of incredible destination weddings is a charming Lake Geneva getaway overlooking Lake Como. Inns of Geneva National offers a more intimate experience for your wedding celebration, making it an exceptional choice for smaller groups. Their six cozy inns each feature six guest rooms; you can rent just the one or all six for a total of 36 elegant rooms. Each inn’s inviting living rooms, full kitchens and private patios provide space for your guests to relax and enjoy each other’s company during your wedding retreat. And when it comes to your wedding, the Inns at Geneva National provides you with a breathtaking location to exchange your vows. Their enchanting outdoor venue looks out over the lake, while a spacious pavilion can host your reception. Or, you can wine and dine indoors at their Grand Ballroom that offers beautiful views of the onsite golf course! With 25 years of experience in celebrating couples, the Inns is truly an exceptional place to plan your special day. When you stay with Inns of Geneva National you will have access to three legendary golf courses designed by some of the most famous of architects. The Arnold Palmer, Gary Player and Lee Trevino courses each offer lush fairways, rolling hills and relaxing views of Lake Como! Take a kayak out onto Lake Como, enjoy complimentary bike rentals to explore the area, or head over to the spacious outdoor pool for a soothing dip in between all your wedding festivities! Lakefront weddings might be a dime a dozen in Wisconsin, but there’s something truly special about beautiful Lakewoods Resort. Surrounded by the Chequamegon National Forest, Lakewoods takes you away from the crowds and into the heart of nature. Choose from an assortment of unique locations to exchange your vows. Enjoy the sand under your feet during a lakeside celebration, head out to their private island and say “I do” under the gazebo, or even host your event at their stunning outdoor cathedral. Receptions can be enjoyed under a spacious outdoor tent or in their elegant indoor reception hall. But what makes Lakewoods stand out from the rest, isn’t just their multiple venues. It’s the premier natural location that provides you and your guests with some of the most fun you’ll ever have. Their charming onsite golf course lets you enjoy the views and bask in the refreshing atmosphere as you challenge each other for that hole-in-one, while the full-service marina lets you explore the calm waters of breathtaking Lake Namakagon. Kayak, canoe, or fish across the lake, or simply relax from the private beach. The surrounding 850,000 acres of lush forests are abundant with trails for a rejuvenating hike as well! When it comes to nature, you really can’t do any better than this! With some of the best dining in the Midwest, your guests are in for a treat during your wedding. You can choose from elegant sit-down dinners, family-style entrees, and buffets for your celebration. Their professional culinary staff will work with you to create something truly memorable! There's never a shortage of adventure at Lakewoods Resort. Their marina offers stand-up paddleboards, canoes kayaks, hydrobikes, and pontoons for you to rent to explore the wonders of the 3,400-acre lake!